Currey & Company is proud to partner with top notch designer, Tobi Fairley, in presenting her latest Designer MBA program on May 6th & 7th, 2014 in Dallas, TX at the historic Stoneleigh Hotel. Tobi’s Designer MBA is a business education for interior designers. Tobi gives you her tried-and-true strategies that have made her business what it is today. These are not only methods and approaches from her own background as an MBA-holding businesswoman, but her new ideas and content that is being used in today’s economy to transform design businesses all over North America. Since establishing her design firm over 15 years ago, Tobi’s projects have spanned the nation, and her award-winning designs for high-profile and celebrity clients have been featured on television, and in top-shelf shelter publications around the globe. 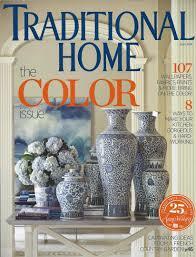 Tobi’s designs recently graced the cover of the April issue of Traditional Home Magazine. Don’t miss this excellent opportunity to start charging what you’re worth and make your business the very best it can be in 2014 and beyond! Sign up today to hear the words of wisdom from this design influencer! This entry was posted in Currey & Company, News and tagged design influencers, Education, Events on April 29, 2014 by Currey & Company.